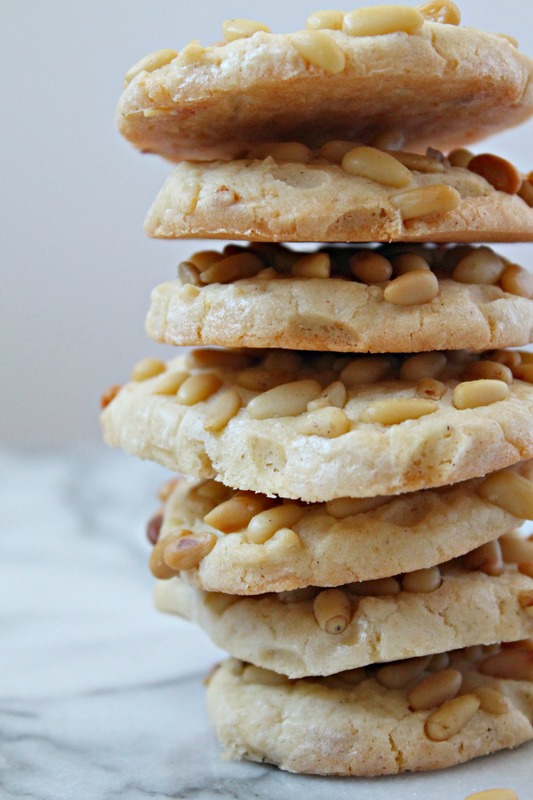 These Italian Pine Nut Cookies are incredibly simple to make but look so elegant on a cookie platter – splurge on pine nuts for their delicate flavor that makes this cookie one of our favorites every year. 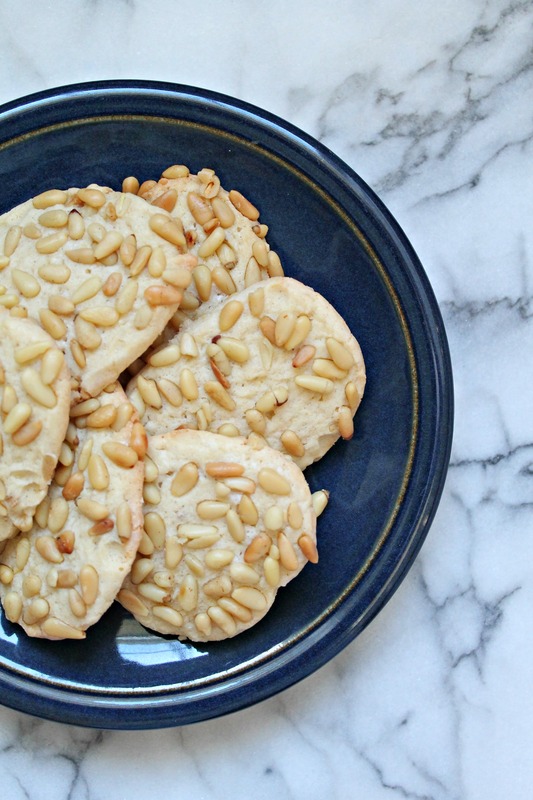 Sometimes, the simplest recipes are the best and these Italian Pine Nut Cookies are just that. They are packed with the delicate flavor of pine nuts, light and crispy on the edges with a little chew in the center. These came about because someone I found a half a pound bag of pine nuts in the very back of our freezer, so I decided we needed to use it up in something other than pesto. Granted, pine nuts tend to be expensive, but they are worth it in this recipe. You’ll use 3/4 cups of pine nuts and 1/4 of that will be ground – basically I place them in a plastic baggie and mash them with a rolling pin. The pine nuts are so fatty, they’ll be more like a paste that you’ll incorporate into your cookie dough. These cookies are perfect to accompany an afternoon espresso. These simple yet elegant cookies are the perfect treat to serve after dinner with espresso, just like Italians would! Preheat ovn to 325F and line a baking sheet with parchment paper. In a large bowl with a spatula, cream the butter and sugar by hand. Incorporate the group pine nuts and egg, stirring until combined. Add all the rest of the ingredients except the whole pine nuts and form into a dough. Using plastic wrap, roll into a log an refrigerate for 2-4 hours. Slice log into ½ inch rounds and press whole pine nuts on top. Bake until lightly golden brown. Making these now and the kitchen smells fantastic! !